This is an elegant tree, which attains the height of thirty or forty feet, with a trunk about a foot and a half in diameter. 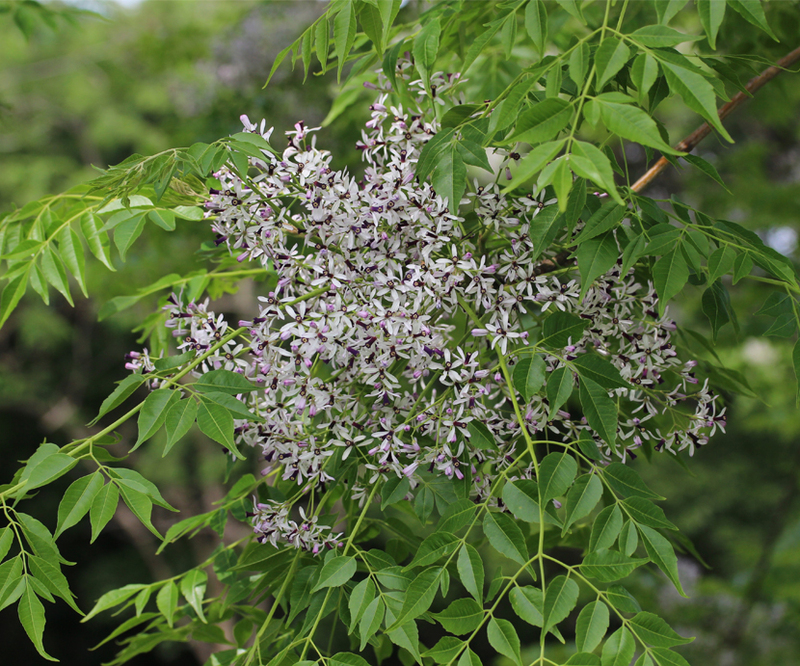 The bark is rough; leaves bipinnate; flowers lilac color; calyx five-parted; corolla has five petals; stamens deep violet; anthers yellow. The fruit is a five-celled bony nut.